If you’re thinking about upgrading from your Samsung Galaxy S5 to the S6 but fear losing the waterproofing feature, say no more. The folks behind the PeripateticPandas YouTube page, which features a few videos on various smartphone hacks, have come up with a DIY solution to waterproofing your own device (at your own risk, of course). 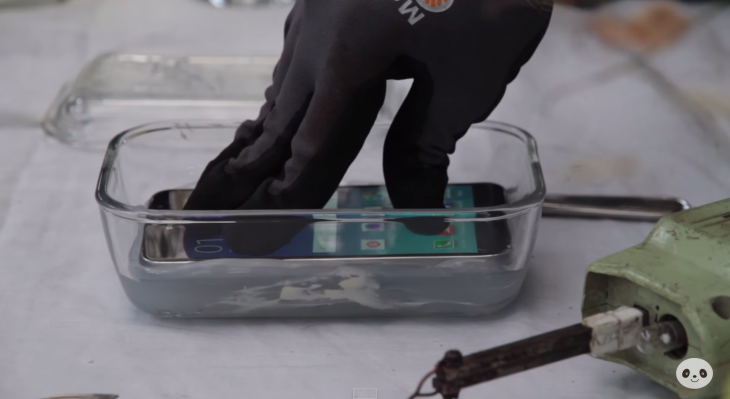 In the slightly (read: superbly) dramatic video, the Galaxy S6 is seen submerged in silicone and left for 24 hours to harden. The device is seen sandwiched in the gel with a thinner layer on top so you can still access the touchscreen afterward. Of course, this means forfeiting access to the USB and SIM card slots and headphone jack. You’ll also need to peruse the wireless charging feature to put juice back into the S6, and accept that the camera will render itself useless with this much silicone in the way. Maybe it’s not worth the effort after all. But YOLO. In case you’re curious anyway, check out the video below.